I have a newfound love for nuts. Eating the healthy way has really broadened my food horizons and brought me out of my comfort zone in the kitchen and on my plate. Before, I had never eaten a beet, now I eat them weekly, I didn’t care much for nuts, and now I am sneaking those little nutrition nuggets into everything I can! These pecans are incredible. 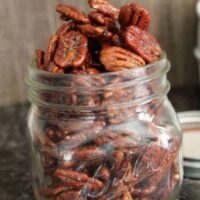 I know it’s almost impossible to not love candied nuts, but even Kevin who doesn’t eat 100% Paleo thought they were excellent! I found a recipe on AllRecipes that was not so healthy. 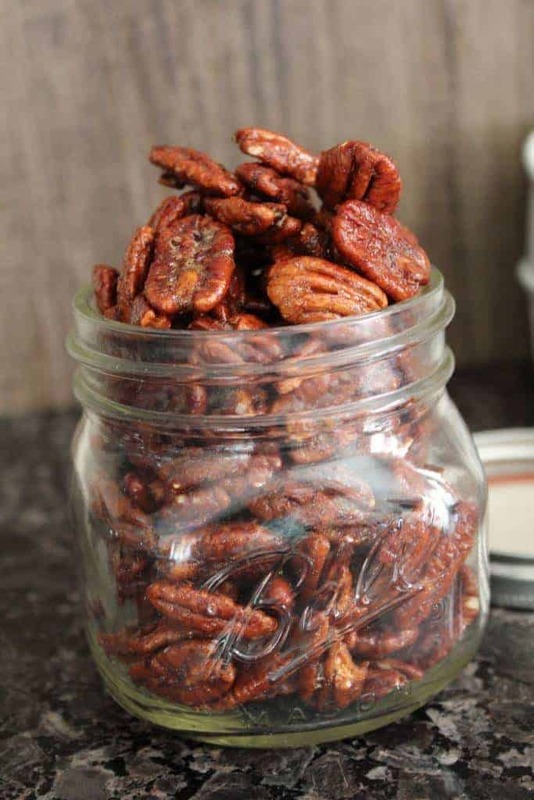 I healthified it and shrunk it down a bit – because 1lb of pecans is a LOT of pecans. For the past couple weeks, I’ve been whipping up a batch of these and storing them in the fridge. I grab a handful for a quick snack when I’m peckish, toss a handful onto salads, like my Beet and Goat Cheese Salad, or serve them with desserts. You need to try these. Trust me. 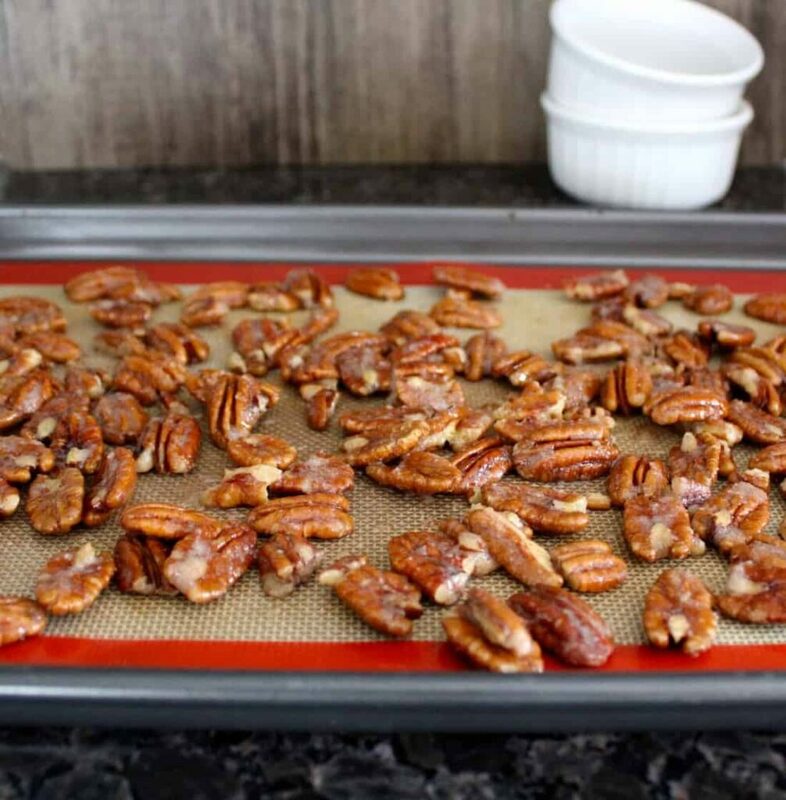 Hope you enjoy my candied pecans recipe as much as we do! Preheat the oven to 200f. Prepare a baking sheet with silicone mat. 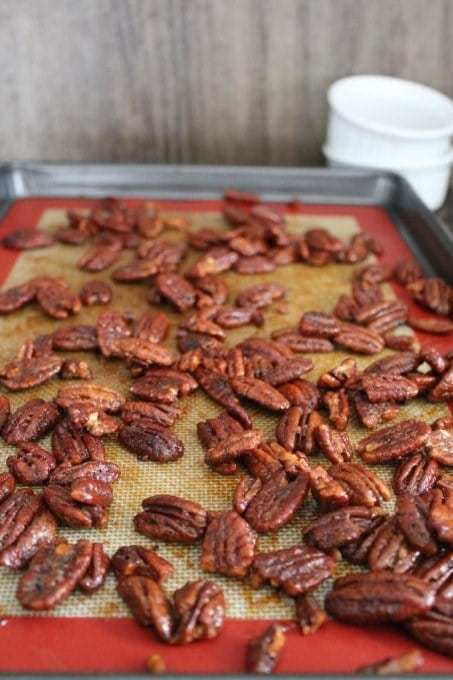 Whisk the egg white and water in a bowl big enough to toss pecans in. Once the eggwhite is frothy, add the honey and stir well to combine. Add pecans and toss well to coat. Spread on baking sheet in a single layer and bake at 200f for 1 hour and toss every 20 minutes.